International Superstar Diva Mariah Carey was spotted shopping in Starhill, Bukit Bintang at 9pm on the eve of Deepavali, created a scene with the surprised shoppers. The Diva spent as high as 6 figures in total, in various branded boutiques, according to sources. 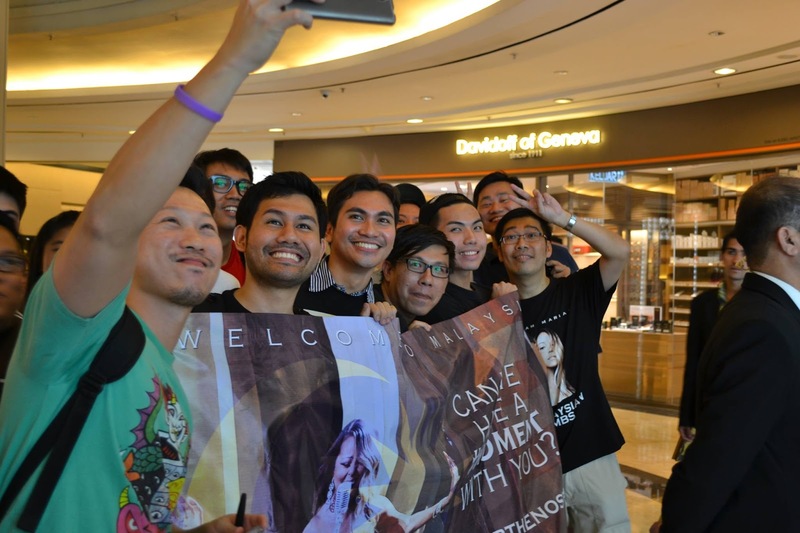 The songbird is in Kuala Lumpur for her Mariah Carey 'The Elusive Chanteuse' Asian Tour 2014, kicking off tonight at Merdeka Stadium at 8pm. She arrived in her private jet two days ago. She was earlier criticized for delivering below-the-par performance in Tokyo and Seoul but the Diva quickly recovered to her top-notch performance in her 5-city China tour earning praises from all Chinese fans and media. Her second time in Malaysia since 2004, fans can expect Mariah repeating her success again as she once said that her vocals performs the best under warm and humid weather! Mariah Carey “The Elusive Chanteuse Show” Tour In Malaysia is organized by IME Productions and supported by Malaysia Major Events, an agency under the Ministry of Tourism and Culture, Malaysia. For more information on the show, log on to www.ticketcharge.com.my or call +603 92228811. The ticket prices are categorised into VVIP RM680 (number seat), RM580 (number seat), RM480 (number seat), RM380 (number seat) and RM280 (free seating) are on sale at the venue. for reading!